It’s a given that just as the weather changes throughout the seasons, so does your immune system. Stress, poor diet and an inactive lifestyle all are trigger points which leads to developing a string of colds or the dreaded flu. How about this year we play it a little differently? Lets swap those winter comfort foods (do you really need three servings of sticky date pudding?!) for some good ol’ fashion superfoods which won’t break the bank. Kiwi fruit: It’s time to put down that orange… a kiwi fruit provides you with your total daily requirement of Vitamin C! One serving gives the body 230% of the RDA for Vitamin C, which helps heal wounds, increase iron absorption, and boost the immune system. it will also provide you with 16% of the RDA for fibre and tastes pretty dam good. Wild salmon: As the sun disappears in the cooler month we have to pay attention to our Vitamin D level, research shows 40 per cent of Australians will be deficient by the time Winter is over. Lucky for you wild salmon contains lots of vitamin D and selenium for healthy hair, skin, nails and bones and rich in omega 3 fatty acids. Warm Water & Lemon: I always love starting my day with warm water and lemon, especially in winter when you are feeling oh so sluggish. In addition to stimulating the metabolism and aiding digestion, this easy concoction also boosts your immune system thanks to the high vitamin C and potassium content in lemons. Vitamin C is great for fighting colds and potassium stimulates brain and nerve function and helps control blood pressure. Tip: squeeze the juice of half a lemon into a cup and then add a dash of cold water first – don’t pour boiling water direct on the lemon juice as it can destroy some of the enzymes. Ginger: Fresh ginger is a must to get you through winter. It has been known to battle symptoms of cold and flu by soothing aching muscles and easing digestion. It can be consumed easily in a variety of different forms by adding it to your cooking or consuming it in raw or capsule form. I love to make ginger tea by steeping 2 tablespoons of freshly grated ginger with a spoonful of manuka honey in hot water and drinking it two to three times a day. You can also add some slices of lemon to increase the vitamin C levels. Broccoli:: This unfashionable veggie needs to be resurrected to the hot list as it is high in antioxidants, fibre and folate. The cruciferous veggies are also well-known for its cancer-preventing powers. Did you know veggies from the cruciferous family (cabbage, broccoli, Brussels sprouts, kale etc) contain compounds called glucosinolates, which convert into isothiocyanates (ITCs) when you chew them and break the cell walls. ITCs are compounds with proven anti-cancer activities. They remove carcinogens, kill cancer cells, and prevent tumours from growing? Amazing!! 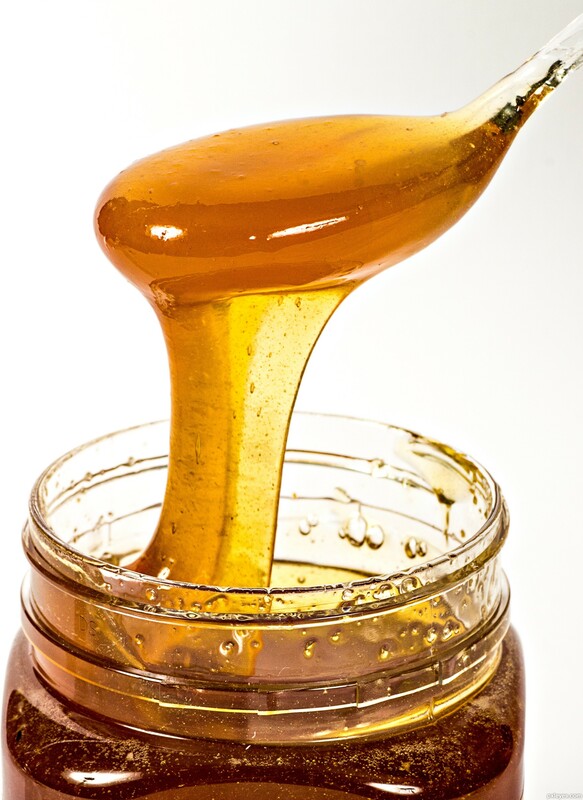 Manuka Honey: Hailing from New Zealand, Manuka honey is defiantly not your regular supermarket variety! I always make sure I have some on hand in the lead up to winter, not only is it is delicious, but it also possesses strong antibacterial, antiviral, anti-inflammatory and antifungal properties which aids in fighting the bacteria which causes colds and helps soothe sore throats. I prefer the honey in its raw form but it also comes in lozenges. Turmeric: As predicted turmeric is the next big thing. It contains curcumin, a phytochemical that has been shown in laboratory studies to inhibit the proliferation of cancer cells and suppress tumor blood vessel growth (angiogenesis). Plus it tastes pretty amazing in Winter warming curries. Win! Eat Dark chocolate: Or even better, raw cacoa nibs which are one of nature’s best sources of antioxidants! The nutritional benefits of raw cacoa products include: being a source of beta-carotene, amino acids (protein), Omega-3 EFA’s, calcium, zinc, iron, copper, sulphur, potassium, and one of the best food sources of muscle relaxing and also stress relieving magnesium. Other good news is that it is only 92 calories and 0.54grams of sugar per 15grams serving! Tip: if you can’t find pure cacao make the switch to dark chocolate that’s to 70-85 per cent cacao; the higher percentage indicates a higher amount of cacao in the product. Green tea: When enjoyed regularly the antioxidant filled tea has been shown to suppress the appetite. Combined with its immune boosting powers this makes it a perfect drop over coffee, which for some, can be too stimulating. Garlic: Feel a cold coming on? Studies have been shown that garlic decreases the frequency of the common cold up to as much as 64% according to a studying in Advances In Therapy. If you are not a fan of the tablets then chop up a few cloves into your food – don’t overcook it through as it destroys all the essential enzymes and properties. NextSay goodbye to creams, and hello luscious oils!